I’m very excited to have 20-year real estate multifamily investing veteran, Jennifer Hammond on the show. Jennifer is the host of SiriusXM’s highly-rated real estate talk show “The Jennifer Hammond Show.” Besides her real estate ventures and her talk show, she is also the creator of Million Dollar Staging Secrets. Jennifer’s passion is to support her community and make a difference in the lives of others. In today’s episode, Jennifer shares some valuable investing lessons. She begins with details on how anyone can get involved in a multi-family project. She discusses her belief in fixing neighborhoods vs. moving out and how to build cash flow. One of the most inspiring parts of this podcast is our discussion on readjusting your mindset to step up your investing game. 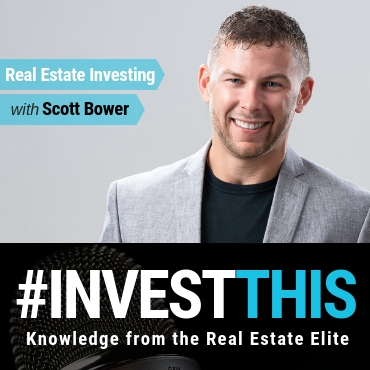 Check out #INVESTTHIS EP 32: Moving Into Multi-Family With A 120-Unit Complex With Scott Bower, to hear my adventures in multifamily investing.